This weekend at the Oz Trails Epic Rides event, I experienced everything that makes mountain biking beautiful: the battle against the competition, the elements, and one’s self. The weekend unfolded in a manner that left me with a high that cancelled out any low that came before it. It gave me frustration that was diminished by elation. Most importantly, it reminded me to never ever ever give up. I arrived Thursday night in Arkansas only to find my bike had not arrived with me. Despite general irritation, it was no problem because I was reassured it would come at 12:00 the next day. This gave me plenty of time before a 5:15 pm race start. When it didn’t come at noon, however it became a different story. I wanted to throw myself a little pitty party, but I knew there was no use. You see, to a cyclist, your bike is not just a piece of equipment, it’s what you put your soul into. Every bolt tightened, and every part measured to the millimeters makes a rider and her bike one. This borrowed bike wouldn’t have my heart imprinted in it, but it was a wonderful bike all the same. I had to be thankful for the opportunities I had. My team supplied me with a borrowed bike for the crit and I lined up feeling like I had overcome a huge obstacle. I patted myself on the back for keeping my calm in the situation. As I began the crit I felt great. My legs were firing and I was responding to every attack. Thoughts like, “This is your moment” were flying through my head. I thought I could make some sort of epic story of racing on a different bike to my best result ever. Not the case. As I came around the lap less than 10 minutes into the race my wheel collided with another rider’s skewer. It was the perfect storm. Her skewer hooked on my spoke and ripped it from my wheel causing a flat all at the same time. My rim hit asphalt and I went sliding, ice skating with metal in a pack of 30 women. I kept it upright and made it to safety. I was disappointed. Wow, was I disappointed but all I could do was smile and move on. There was nothing that could have changed. My wheels were great, my mechanic was flawless, and the tactics were fair. It was a freak scenario that probably won’t happen again- ever. Now all my bets were on Sunday. On Sunday we were up against the elements of the year. 50 miles with nearly 6000 feet of elevation gain, but no climb lasting for than 3 minutes. It would be torture from a million tiny hills. I made it to the singletrack at mile 10 in the main group in a comfortable position. The rider in front of me, however, made many small mistakes that left her and in turn me falling off the back and battling back up to the group. These sharp changes in pace soon left me gassed much earlier than I ever thought I would be. My legs weren’t responding and I tried to stay calm as I ignored the fact that I was probably back somewhere in 20th place. There was a torrential downpour of rain. I could barely see the trail and a river was running down the middle of it. I was soaked to the bone, and thunder was cracking up above. I was suffering. Just one small voice in my head kept saying, “Anything can happen.” It wasn’t happening though. It wasn’t until hour 3 of a 4 hour race that the magic came about. When hour 3 rolled around I was sitting in 15th. A result I would not write home about. I could see the concern in the faces of the people cheering for me. They knew I wouldn’t be excited to cross the line in that position. At hour 3, my race changed. I suddenly had pep in my legs and I was ready to put it all on the line. The last hour of the race I was on a mission. I came through the final feedzone 8 miles from the finish in 15th but I could see the girl ahead. I was riding out of my mind. I knew I would run out of trail to make my move quick. I caught her, came around the next corner and saw someone else, and again and again. I lost count of how many people I was catching. This move didn’t come without difficulty. I was pushing my body, I was begging for the finish, and I even crashed really, really hard trying to use everything I had. I worked for this comeback, but I know I had God’s help. When I crossed the finishline I was depleted. I had given it everything I had. I had wrung myself dry in the final hour of the race. I even finished with crooked handlebars from my crash 30 minutes before. I turned to my coach and he told me I finished 8th. 8th! I met my goals and then some. 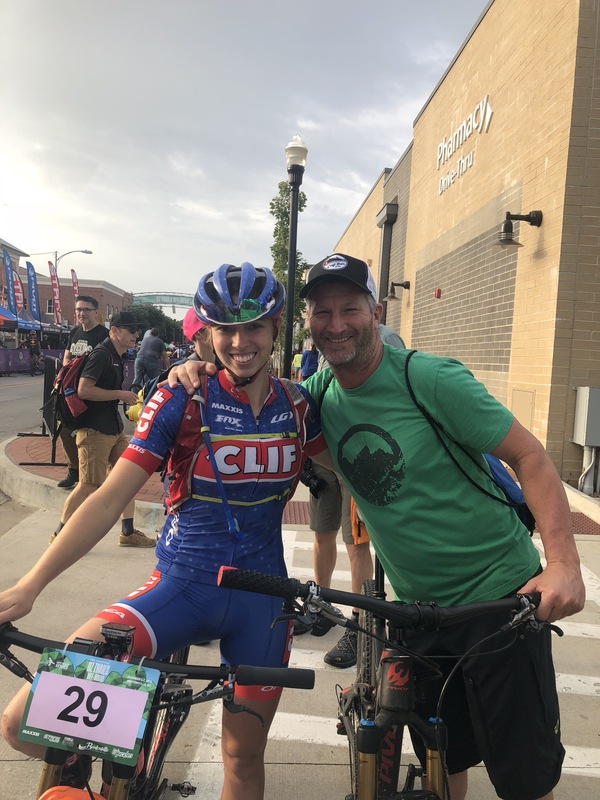 I came away from the final mountain bike race of the season with a top 10, a great story, $800 richer, and most importantly, the lesson to Never Ever Ever Give Up! 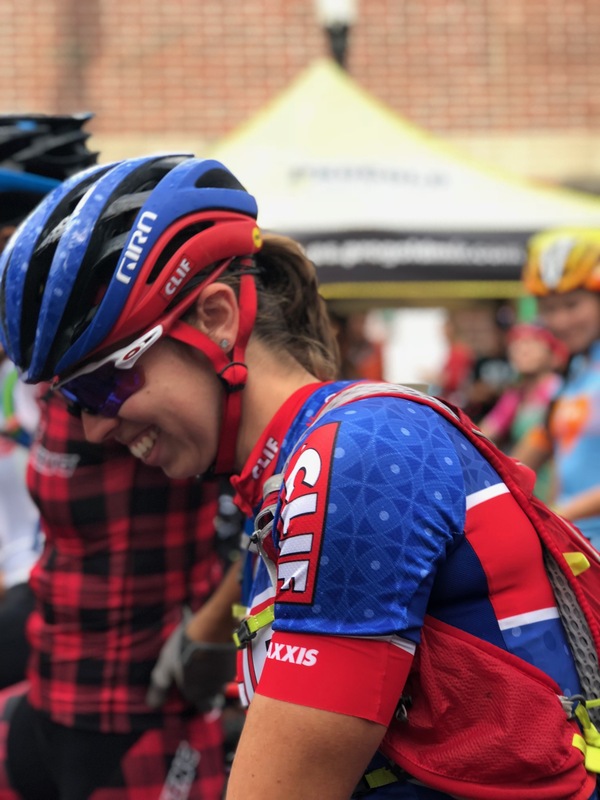 Thank you to Epic Rides for equal payout and the biggest paying single day mountain bike event in North American history. 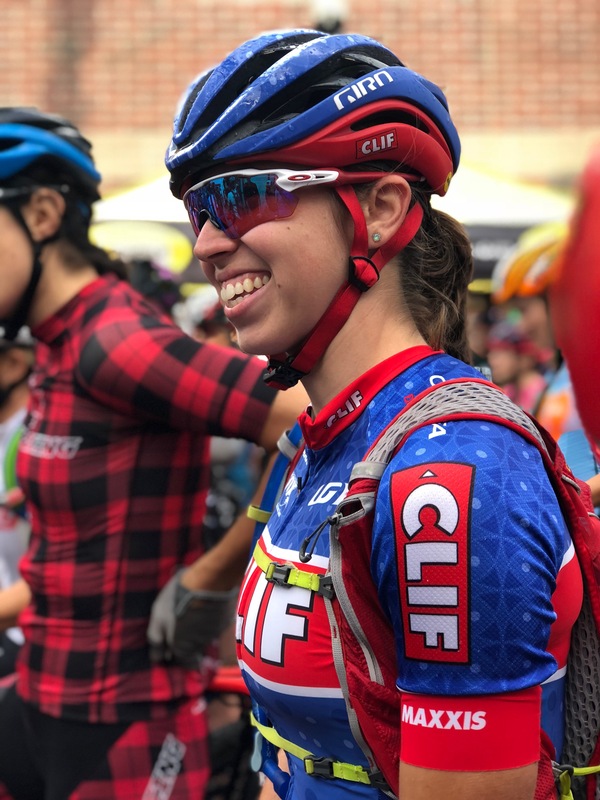 Thank you to the Clif Pro Team for the incredible support this season. Thank you to my Coach, Chris Mileski for his investment in me.